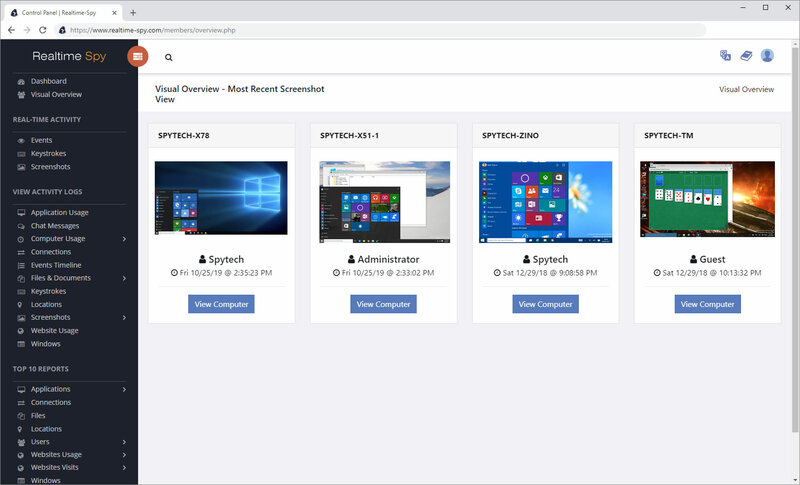 A proven leader for over 15 years, Spytech Realtime-Spy is the #1 remote spy software and cloud-based computer monitoring software available for parents and businesses that allows you to remotely install the monitoring system on any computer you own and access the activity logs from anywhere at any time via your own personal Realtime-Spy account! There is no need for directly connecting to the remote PC - all you have to do is point your browser to your secure Realtime-Spy member's area to view logs from any computers you install Realtime-Spy on. Realtime-Spy can log and record anything your child or employee does on your computer, as well as display, in real-time, what they are doing and typing. Realtime-Spy is a remote spy software solution that requires no physical installation, runs in complete stealth, and allows you to truly view activity logs from any location at any time! Realtime-Spy's invisible computer monitoring software stores all logged information, from keystrokes to screenshot captures, online in your own secure member's area for real-time 24/7 access from any device with a web-browser. Logs are categorized by computer for easy centralized viewing and monitoring of multiple computers/devices. Log all keystrokes (including passwords) and view content, window title, and the application they were typed in. See what programs users ran and interacted with, when they ran them, and how long they actually used/interacted with them. 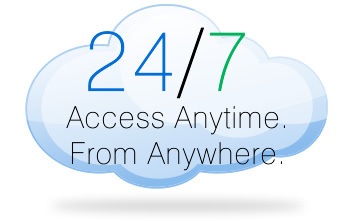 Track file and document usage across all file system drives, portable devices, or network drives. See who users are talking to across social networks and chat messengers and read what is being said! Generate easy-to-read top 10 reports and graphs detailing frequent application, website, file usage, and more. 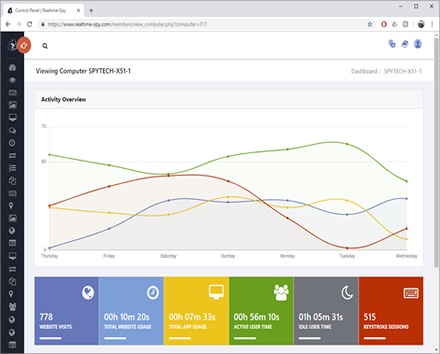 Realtime-Spy offers cloud-based centralized computer management, allowing you to quickly view activities occurring on all of your computers at once, or individually by computer. View all activity from anywhere, at any time. 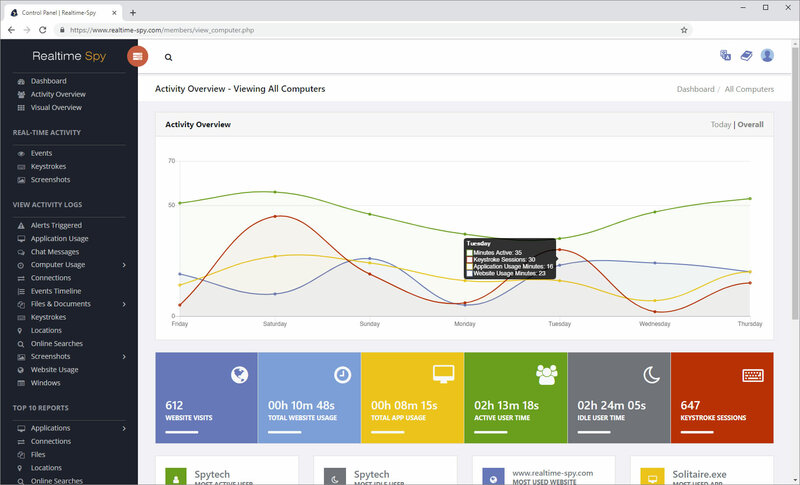 Realtime-Spy's computer activity overview provides a comprehensive activity summary that allows you to see how active each computer has been, along with what apps and websites are most used, what user is most active, and more. 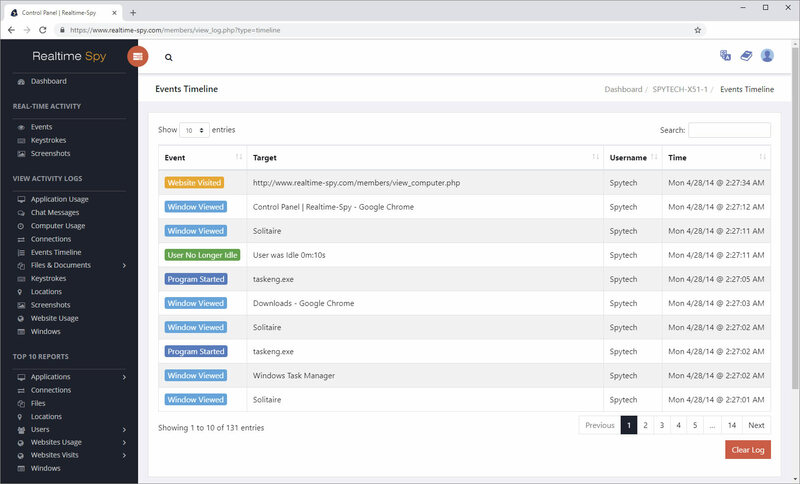 Realtime-Spy captures all user activities for viewing in real-time - from keystrokes and file usage, to screenshots and website activity. All logs are organized into easy-to-read, searchable, sortable activity reports. Realtime-Spy offers a large array of graphical Top 10 reports that provide easy access to seeing what users are most active and idle, what websites and pages are visited the most, what programs are used most and for how long, most popular files, internet connections, and more. Realtime-Spy's logging settings can be changed at any time from your online account without having to access the monitored computer to reinstall the Realtime-Spy software. Realtime-Spy can be remotely uninstalled when you are done monitoring. Realtime-Spy can be used by parents to monitor their children and put their mind at ease. See who your children are talking to, what they are typing, what websites they visit, what games they play, and know exactly how long they are doing so! Parents can monitor their children from their workplace, or any other location where they have an internet connection and a device with a web-browser. Logs are updated in real-time so parents can react instantly to unwanted behavior. I have your software on three computers at home. It is a great product. It has been very helpful for my family. I am a family therapist and share about your product each month with many parents who are looking for options to keep their homes cyber-safe. - Robert W.
Let me say that this has been a wonderful piece of software. In the few days the small business I work for has had it in place on a few select PCs, we've monitored several incidents of users installing (or trying to install) unauthorized software on our business PCs. Thank you for a great software package. - Shawn H.